What are overlap profits and why are they taxed twice? The pros and cons of choosing an early accounting date. New businesses may prefer a longer gap between earning profits and paying tax. 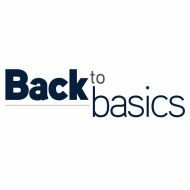 We continue our back to basics series on basis periods for sole traders with a look at overlapping profits, ending trade and the practicalities of choosing an accounting date. Unless you use an accounting date that aligns to the fiscal year (5 April) then the result of basis of assessment rules is for some profits to be taxed more than once in the opening years of a new business. These profits are known as overlap profits. The level of profits in the overlap period. A trader may pay tax on the same £1 of profits in more than one year – so he or she might be taxed on £5,000 of profits in the opening year (2017/18) and the same £5,000 is taxed again in the second year (2018/19). Having been taxed twice on an element of profits at the start of trade, the trader must wait until the end of business to claim relief on these profits. In certain circumstances, a change of accounting date may allow relief earlier in the life of the business. If the business is operated for 20 years with no change of date and was taxed twice on, say, £5,000 profits at the start, then a figure of £5,000 will be deducted from the profits of the final year of trading, receiving tax relief at the prevailing rate at that time. This may be at a higher or lower level than the tax originally paid on these profits. When trading is ceased, the final year of assessment will be the fiscal year in which the trade ceases. In this year, you will simply be taxed on any profits that have not already been subject to tax, less the deduction for overlap profits from earlier in the trade. The choice of accounting date has two important implications as a result of the basis period rules. Firstly, as we have seen, any choice of date that does not align with the tax year will result in some profits being taxed twice. Using 31 March removes this issue. HMRC will accept 31 March as being the same as 5 April for this purpose. At the other end of the spectrum, an accounting date sitting early in the tax year (e.g. 30 April) would result in significant months of overlap (11 months for 30 April). However, there is a second impact and this is around the timing of tax payments. Tax for 2017/18 will generally be paid over two payments on account (31 January 2018 and 31 July 2018) and then settled by 31 January 2019. Choosing an accounting date very early in the year (e.g. 30 April) results in a much longer gap between earning profits and paying tax, delaying the payment. This can be very helpful when starting a new business and finding cash flow to be an issue. It can be beneficial to accept that tax may be due on some profits twice, to then delay payment of tax for longer. Many traders struggle to manage cashflow in the early years of a new business and often the issue of the timing of tax payments is of more importance than the level of overlap profits - and remember that many new businesses are loss-making in their early years. Consideration of the most appropriate accounting date is considered to be tax planning - you should bear in mind the guidance in the Professional Conduct in Relation to Taxation guidelines if you are advising traders on this area.